In need of some relaxation? 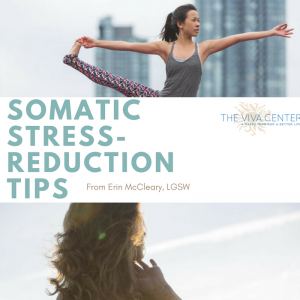 Clinician Erin McClearly, LICSW, recommends somatic resting techniques for those looking to decrease symptoms of stress. Somatic resting is any sort of relaxation related to our physiological functioning. 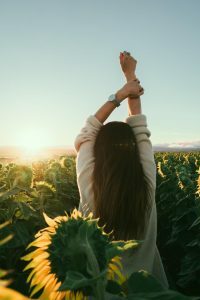 Typically, it involves activating the parasympathetic nervous system, the part of our nervous system that relaxes our muscles, lowers our heart rate, and generally makes us feel more calm. The following forms of somatic resting—somatic meditation and self-massage—are known to have these soothing effects on our bodies, bringing relief to our minds. Researchers from the University of Florida note that meditation has several benefits for people experiencing stress, including reduced anxiety and irritability and increased creativity and alertness. As is suggested above, meditation activates the parasympathetic nervous system, thereby kick-starting several soothing somatic processes. Somatic meditation in particular uses the body as the “fundamental arena of meditation practice.” Somatic meditators believe that the body “is already and always abiding in the meditative state, the domain of awakening,” and that individuals can access that domain by meditating. Visualize a safe and beautiful environment, real or imaginary (or a little of both). It could be the beach, a field of flowers, somewhere in the mountains—anywhere that brings you a sense of comfort. This will induce a calm and peaceful state in your body and mind. Use all of your senses to create a vivid picture of the environment you’re visualizing. What are the sounds you might hear – birds singing? Waves gently crashing against the shore? What about any vivid colors or objects you may see? Is there a breeze or anything else you may be feeling against your skin? Make sure to take a few moments to enjoy the state of relaxation you’ve created for yourself, and know that you can access this anytime. Self-massage may not seem as dreamy as having a massage therapist do it for you, but use some aromatherapy oil and discover how good this can feel! Not only is massage enjoyable on a sensory level, but as the Livestrong organization notes, massage promotes our relaxation response, lowering blood pressure, reducing muscular tension, and alleviating symptoms of stress. Start with your hands and spend some time kneading the fleshy part of your thumb, then work your way along the edge of your hand and squeeze up every one of your fingers. Repeat on the other side, then gently shake both hands out. Hold your left hand up, palm facing outward, and use your right hand to pull your fingers back toward your wrist until you feel a stretch (but not pain!). Hold for at least five seconds. Repeat on your right hand. Try gently massaging your face, where we tend to hold a lot of tension. Make tiny circles with your fingertips – pay special attention to your temple, jaw muscles, and around your cheekbones. Try to notice what your muscles and tissue feel like before and after your efforts. Describe the sensation, and really mindfully enjoy the sense of relaxation. Ready to get creative? Roll a golf or tennis ball on your feet (or anywhere else that may be holding some tension). Just remember to breathe, go slowly, and notice what you’re feeling! For information on mindfulness, massage, and somatic relaxation, feel free to contact us on social media, or reach Erin directly at erin@vivapartnership.com. Are you ready to try therapy in a whole new way? Are you wanting real shifts in your quality of life? Are you seeking more options for therapeutic treatment? Click here to experience a change in your day to day happiness. 5 minute walk from Dupont Circle Metro! 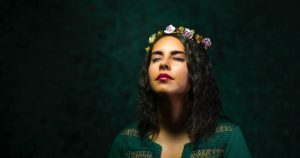 Looking For Free Mental Health Resources? A comprehensive library of free apps, videos, playlists, research, and more.